Could a $2 battery lead to the destruction of your home or office? Twice a year when the clocks change between daylight and standard time, public service announcements and fire departments remind people to change the batteries in their smoke detectors. While this ensures the smoke detectors are ready to detect a fire, there is another battery in the house that is overlooked and could lead to the destruction of a home or office through water damage. Digital thermostats that have replaced the original mercury switch thermostats offer scheduled heating and cooling, providing improved efficiency. But they all rely on a pair of “AA” size 1.5v batteries to maintain the heating schedule. 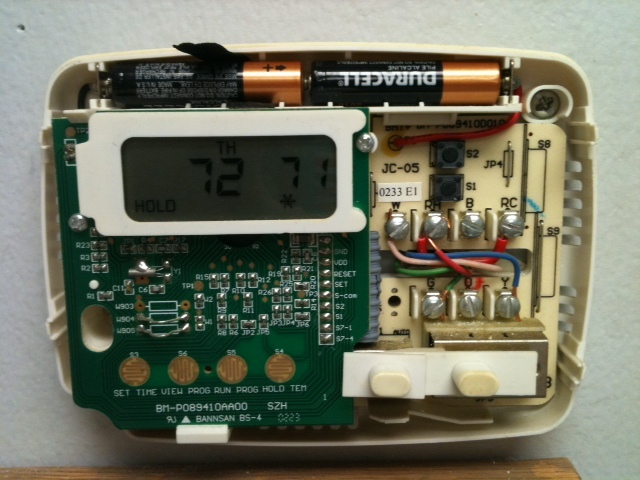 When those batteries fail after a few years, the thermostat stops working and shuts off, disabling the furnace. The result is a house or office that can drop to freezing temperatures inside after only one day. As the water pipes inside the building freeze and crack, the water pours out, damaging everything from the roof to the basement. And the El Dorado plumber should be called for help. Damages are multiplied when dealing with industrial heating systems as they are generally larger, more complex pieces of machinery and are responsible for larger areas of space and materials/goods. While it may be tempting to replace the standard alkaline batteries in a thermostat with longer lasting Lithium batteries, this is even more likely to lead to unexpected failure. Unlike Alkaline batteries, Lithium batteries have a different discharge profile. Lithium batteries provide a steady voltage until they are completely discharged, resulting in almost no time for a low battery warning. Since the voltage on Alkaline batteries drops as they discharge, the thermostat will provide a warning for a week or two that the battery voltage is low and requires replacement. Rechargeable Ni-Mh or Ni-Cd batteries should never be used in a thermostat, since they individually provide only 1.2 volts (2.4v for two batteries in series) at full charge, well below the 1.5/3 volts required. This will trigger a low battery warning even when fully charged. Rechargeable batteries also self-discharge and will not last more than a few weeks in a thermostat. Regardless of the battery chosen for a thermostat, the outside of the thermostat should have a label indicating when new batteries were installed, and they should be replaced every year, preferably when changing smoke detector batteries. include a piezo speaker chirp and flashing red LED for the low battery alarm, powered by the 24-volt furnace transformer. use a replaceable Li-Ion battery as a backup battery and power the thermostat from the 24-volt transformer, so that battery power is only used when utility power is disabled. track the last and next battery change date on a calendar for reference. Related: Whitton Plumbing Drain Cleaning Mesa. 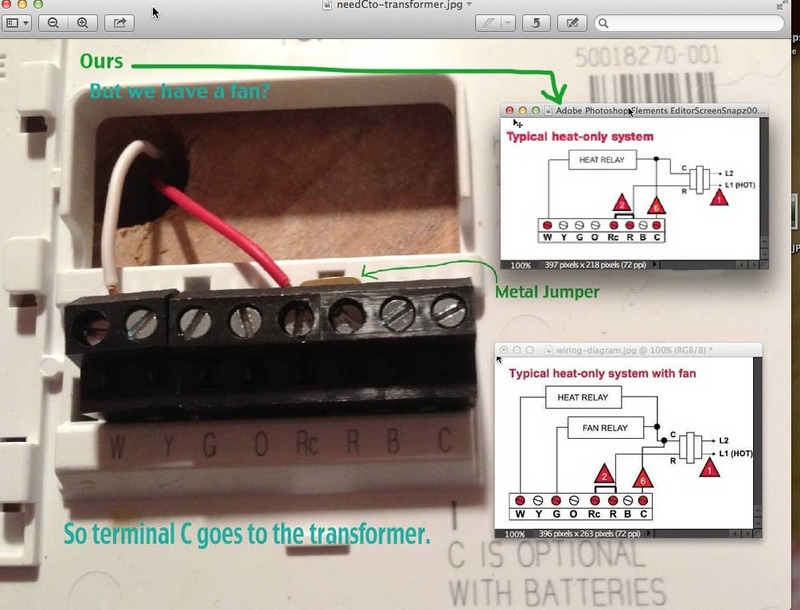 6 Responses to Could a $2 battery lead to the destruction of your home or office? This is SO IMPORTANT! We all thank you for explaining this so well. We have saved 2 houses this winter because of this. Also, we are wondering why the installers of these new heating systems, dont bother to tell the customer that they neglected to properly wire the new thermostats to the furnace power supply. The batteries are just supposed to be a back up anyway. The insurance companies are going to start looking into those installations. The contractors should at least warn the customers that even tho their power is ON, their entire heating system could go down. Thanks for your comment! Most digital thermostats rely strictly on internal battery power and do not have any provision for running on utility power. Thats stupid in our area, as there are lots of people who go south for the winter, and if their batteries fade out, and the power is ON, their entire house heating systems could go down. See my site link as there isn’t a way to upload a picture here. Why does this old grandmother know how a system should be wired, when the contractor doesn’t do it correctly? Your explanation of the problem is right on, but most people dont know it till it happens to a friend or their own systems. My son in law will be correcting/adding our wiring before winter comes again. I would agree with that but I changed my thermostat batteries with RayOVac High Energy Alkaline and in 6 weeks the furnace could not go on due to them being drained. Be very careful what brand you use because another generic brand leaked in my thermostat & almost ruined it. I am going to go with Duracell or Energizer from now on. Mine does not have a warning when batteries are low. This is also very important, dont use off-brand batteries, and be sure to use the alkaline and not the lithium ones. I have a big box of Energizer and Duracell regular alkaline ones here for our friends who go south, and we keep an eye on their houses and heating systems.